What Happens If I’m Denied a Security Clearance Due to an Inaccurate Background Check? Many people are denied a security clearance due to unfavorable information uncovered during a criminal background or credit check. Given the importance of such checks, it is critical the information itself is accurate. And if there are inaccuracies, one would assume the affected individual would receive adequate time and notice to remedy the situation. Sadly, that is not always the case. An ongoing federal lawsuit in Wisconsin illustrates the problems an individual may face when challenging erroneous information on a background check. Indeed, even where the law provides clear protections for victims, federal agencies and other employers may not fully comply with their obligations. The plaintiff in this case sought work as a security guard with the United States Postal Service. This position required a security clearance. The Postal Service contracted with an outside firm to conduct a background check. Following this check, the Postal Service sent the plaintiff two letters. The first letter provided a copy of the report prepared by the outside firm and informed him that he had five days to dispute any “inaccurate or incomplete” information. But the second letter– dated just three days later–informed the applicant that he would not be granted a security clearance, based on the results of the background check, and was therefore was not eligible for the security guard position. The plaintiff subsequently sued the Postal Service for violating the Fair Credit Reporting Act (FCRA), which requires employers to provide adequate written notice of a “consumer report”–which includes a criminal background check–before taking an “adverse employment action” based on the contents of said report. Here, the plaintiff said there were a number of inaccuracies in the background check obtained by the Postal Service. For example, the report said the plaintiff had served jail time for a misdemeanor offense six years ago; in fact he was only placed on probation. 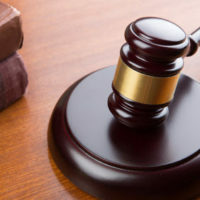 The plaintiff also said there was reference to a “non-criminal violation” that occurred more than seven years before the report was issued, which violates the FCRA. More to the point, by not giving him the five days promised in the initial letter to challenge these inaccuracies, the plaintiff said the Postal Service violated his rights. The Postal Service moved to dismiss the complaint, alleging the plaintiff failed to plead a “concrete injury.” In other words, the Postal Service claims the plaintiff cannot trace the denial of his security clearance (and employment) to its purported failure to follow the notice requirements of the FCRA. The magistrate judge presiding over the case denied the motion to dismiss. The judge noted that failing to give the plaintiff a “reasonable opportunity to point out inaccuracies” in his background check led to an “increased risk of security clearance denial,” which was enough of a concrete injury to sustain his complaint. At trial, however, the Postal Service may still be able to prove it would have “declined to hire” the plaintiff even if his background check was 100 percent accurate. There are many reasons why you may be denied a security clearance. Ideally, false information about your criminal history is not one of them. If you have reason to suspect that an incorrect background or credit check is keeping you from seeking gainful employment with the federal government or a contractor, you need to speak with an experienced Maryland security clearance lawyer right away. Contact the offices of Henault & Sysko, Chartered, today at 410-768-9300 if you need help with any kind of security clearance matter. Tyus v. United States Postal Service, U.S. District Court for the Eastern District of Wisconsin, June 20, 2017.